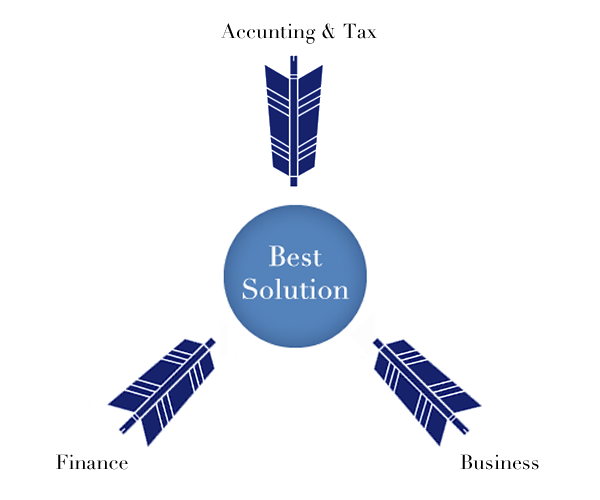 Our firm provides optimal solutions for clients, based on accounting and tax advisory services, and by employing our expertise in finance and business management. Fully compatible with English: We can provide all services in both English and Japanese. Our partner, with experience at the forefront of financial institutions, provides highly valuable second opinions on financial products, in consideration of international tax as well as domestic tax. We will work together with your company’s manager and address the problems identified through the quick management review, by planning, implementing and evaluating improvement solutions. In particular we will achieve the maximization of cash (the ability to create cash and the resulting cash balance), which is of paramount importance to companies. We provide accounting services employing highly technical methods, including creating tax efficient accounts and financial reports that are compliant with accountancy standards. By processing the invoice processing and account administration in our offices in Japan and Vietnam, we realize both secure services and low cost. We provide English language tax and accountancy services for foreign firms and foreign business owners. We undertake tax return procedures for individual business owners, rental property owners, foreign company employees, individuals who have bought or sold property and any other relevant parties. We support individual tax declarations for people with foreign income, such as returnees from overseas, people who own property abroad and people who own foreign securities and bank accounts. We also support foreign workers’ tax affairs. We provide services in income tax, inheritance tax, donation tax and business takeovers for company managers, owners and wealthy individuals. In addition to numerical data such as accounts figures, we visit the company to examine the present situation and undertake hearings with management in order to objectively analyse the external environment and internal management situation of the company. Based on the analysis, we will raise the issues with management, and suggest improvement strategies. We provide support in mediating M&A transactions, proposing schemes, acquisition due diligence and legal procedures. When expanding your business overseas, we propose an advance business plan (including tax planning and tax efficiency) and assist in the implementation.